Interested in our free activities to help your child learn math at home? Please proceed here. 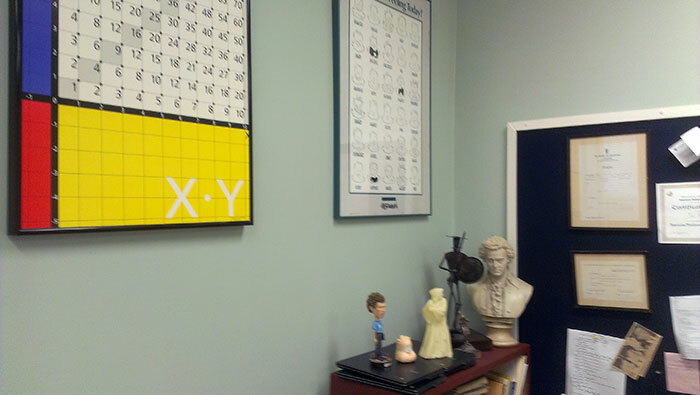 Welcome to the home site of the X•Y Chart. 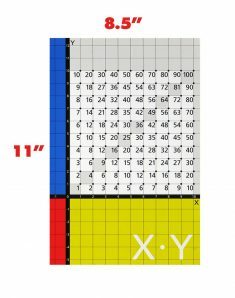 Our goal is to help your children do well in math by presenting three critical math skills in a special visual arrangement that organizes the multiplication facts in their true home in the first quadrant of the Cartesian coordinate system. It also suggests the importance of the variables X and Y. 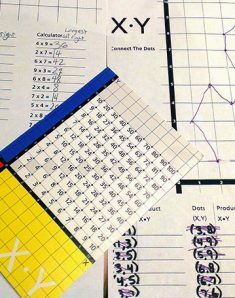 This brings together the most used operation, multiplication, with the most important visual tool of math, the Cartesian coordinate system, and connects them with the symbols X and Y that are central to algebra. We have done this with the help of two talented graphic designers who used visual techniques to make the chart easy to use and attractive, a piece of Mondrian-like art, that complements any home. Displayed there it sends the message: math matters. Our most recent post offers you a short video which captures the essence of this multiplication table. It will explain our slogan: Plotting Points, Plotting Products. Please enjoy and let us know what you think about the chart.